Beyond the degree and licensing required by law, we certify our physical therapist to meet the highest standards in the industry. Only then can they provide you with service. A core requirement for all our therapists is a loving, caring and helpful personality. At FYZICAL® you'll experience an individualized, supportive approach to physical therapy. One that uses hands on techniques and tailor made exercise programs delivered by expertly trained and licensed Physical Therapists who work one-on-one with you during your therapy sessions. We not only practice physical therapy but we live and breathe it, which results in high patient satisfaction. Dawn is a native of Louisiana and graduated from Louisiana State University Medical Center, New Orleans in 1989 with a BS in PT. She was an athletic trainer for LSU in Baton Rouge for 5 years prior. Upon graduation, Dawn’s first job was in Nashville, TN, where she acquired many manual therapy skills, and received guidance and encouragement regsrding the business aspects of physical therapy. 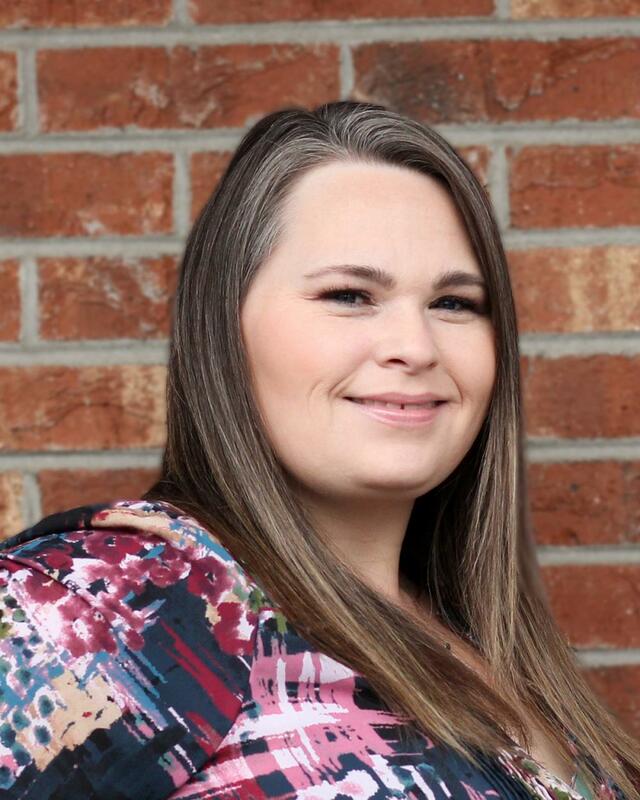 Dawn started her first private practice in Louisiana providing therapy to underserved children in rural areas. She loves the mountains and decided to move to Brevard where she was encouraged by a physician to open Perfect Balance Physical Therapy in 2003. 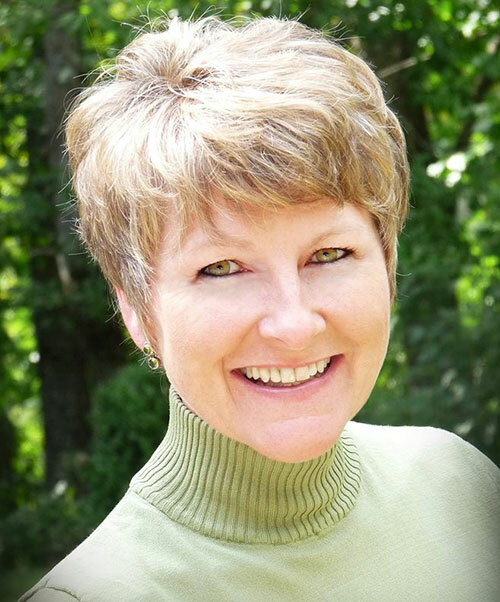 Specializing in outpatient orthopedics and womens health, she expanded her practice to Asheville in 2012. She is a member of the Orthopedic, Women’s Health, Aquatic and Private Practice sections of the American Physical Therapy Association as well as a member of the Independent Private Practice Group of NC And SC. She also serves on the board of South College of Asheville"s Physical therapy program. 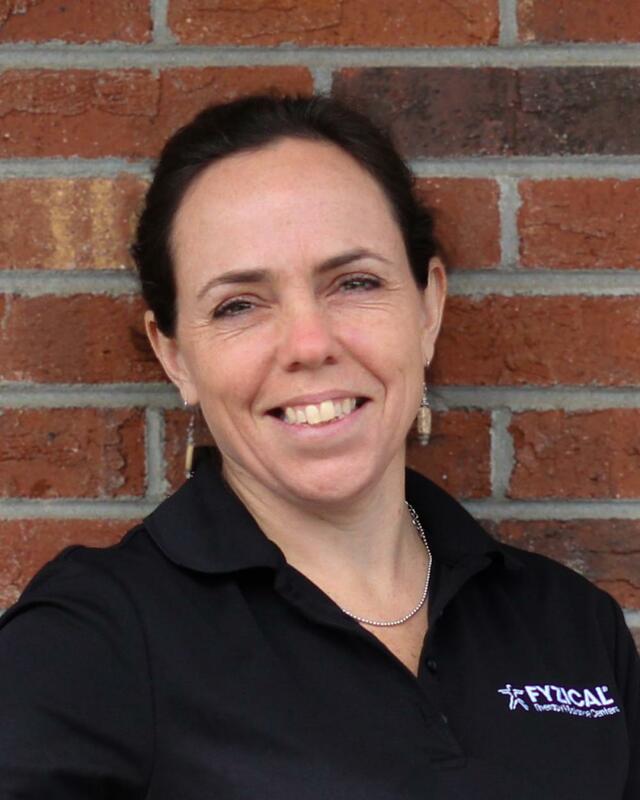 In October 2011, Dawn was one of the first therapists in the state of North Carolina to be certified in Trigger Point Dry Needling. She's also a certified weight trainer and wellness coach. Dawn decided to join Fyzical Therapy & Balance centers in 2017 to increase the resources that would be available to her staff and patients while maintaining 100% ownership. Currently she is serving on the Franchise Advisory Council assisting nearly 350 clinics. Dawn is active in the Asheville and Brevard communities, served on the board of Rise and Shine’s afterschool program and supports the United Way. She enjoys hiking and biking with her partner and playing with her two Bichon Frises (Maya and Bella). Dawn feels blessed with wonderful employees, referring physicians and patients who she feels have become her family. Her favorite saying, which was printed on her first homemade brochure, is “for it is in giving that we shall receive.” Though the quote is no longer on her brochures, one can feel it when they visit each of the Fyzical locations. Kristen Murphy joined the team in 2014 after graduating with her Doctor of Physical Therapy from East Tennessee State University. She has pursued education in the treatment of pelvic health concerns for both men and women, addressing all aspects of care from bowel and bladder to pain. She has a special interest in treating postpartum mom's and sexual dysfunction. She loves living in the mountains having grown up in northern Indiana. She enjoys reading, cooking (but really eating), and spending time with her husband, Sean outdoors. Dr. Robbie Mann earned his doctorate of physical therapy from East Tennessee State University where he served as the Class Vice President. His physical therapy special interests include orthopedics, spine, balance, foot-ankle, and post-operative care. His treatments include a variety of manual therapy techniques as well as unique exercise designed to target patient's impairments in order to optimize their function and mobility. He is certified in dry needling, a technique used to relieve muscular pain caused by trigger points or muscle "knots". In his free time, Robbie sings with his church choir, plays disc golf and enjoys skiing, fishing, kayaking, tennis and playing guitar. He lives in Hendersonville with his wife, Rachel, and their Jack Russell Terrier, Fido. Charles graduated from Florida International University in Miami in 2013. Since then, he has worked with people of all ages. He has worked in hospitals, outpatient clinics, and in people’s homes. Charles has also worked with people with a wide range of diagnoses ranging from total joint replacements and back pain to congestive heart failure, stroke and vertigo. Charles enjoys educating people and giving them the tools they need to achieve their goals. Hiking and camping with his family is one of his favorite things to do, as well as playing music in his spare time. Charles recently moved to Asheville with his wife and daughter and already he feels like he has found a good home here in the community and with his work family, at Fyzical Therapy and Balance Centers. Jessica, graduated from Radford University with a B.S. in Sports Medicine and then continued her education at Lynchburg College, where she received her Doctorate in Physical Therapy. She enjoys treating general orthopedic conditions as well as vestibular rehabilitation. Jessica has expressed improving patient’s quality of life is one of her top priorities when treating patients. In her free time, she enjoys spending time with her family. Jessica and her husband will soon be welcoming their first bundle of joy into the world, this March! 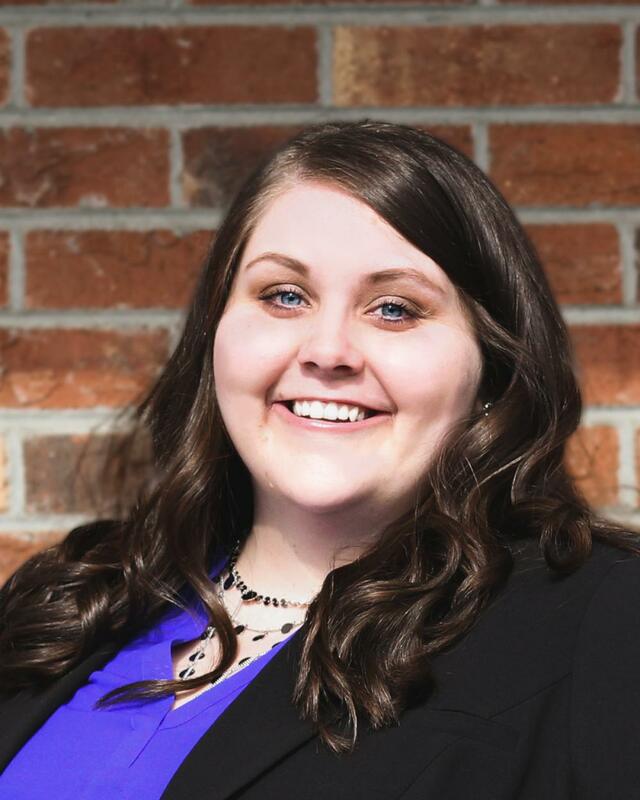 Kristin graduated in 2004 from University of Central Florida in Orlando, FL with a BS in Health Service Administration and from Seminole State College in 2011 with a PTA degree. Kristin enjoys working with a wide range of patients and for the last 2 years has found a great deal of enjoyment with working with the geriatric population. Kristin has an amazing husband and 2 beautiful children ages son 7 and daughter 5. They moved to Black Mountain in 2016 and has loved every minute of living in the mountains and are fully taking advantage of all outdoor activities. Wendy Medina-Haas attended South College of Asheville for her Physical Therapist Assistant degree. She has been practicing since 2013 with Fyzical Therapy & Balance Centers. She enjoys working with all age groups and people of all backgrounds. Wendy has a special interest in orthopedics with a focus on a manual approach to back, hip, and knee injuries, in addition to post operative rehabilitation, core/pelvic stabilization, aquatic therapy, osteoporosis bone health and balance dysfunction. Wendy’s main focus is on treating the whole person and tailoring treatments to include task specific functional strengthening as well as using manual techniques to restore mobility, stability, and decrease pain. Helping patients succeed and achieve their goals, brings her great personal satisfaction. Wendy has enjoyed the Western North Carolina mountains with its hiking, kayaking, music and art festivals. Lauren Case is a mother of three, she enjoys hiking, biking, pickleball, chocolate, and coffee. Lauren is an active member of her church and volunteers in various capacities. She graduated from SouthWestern Community College with her degree in Physical Therapy Assisting. 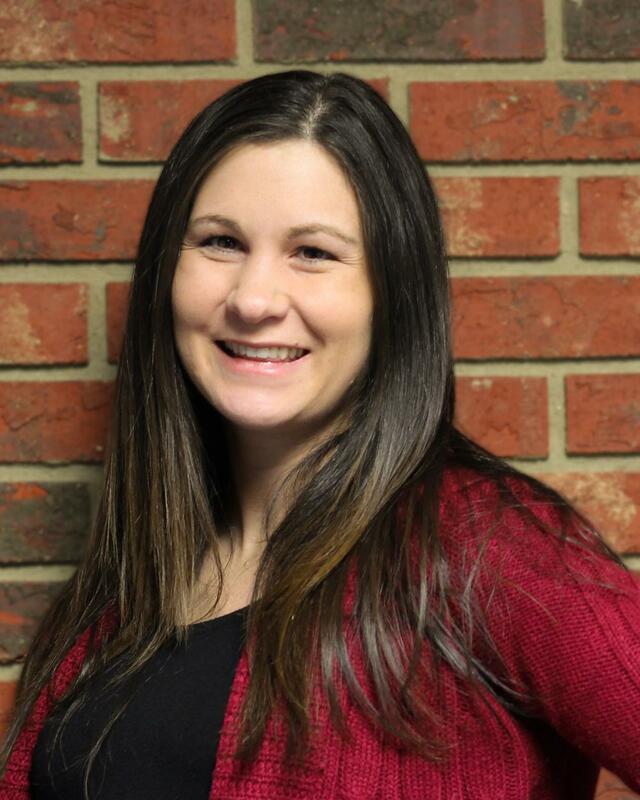 She has background experience in social work and medical assisting, Lauren finds physical therapy to be a perfect partner to the skill set she brings to Team Fyzical as she has a fascination with neurological therapy and notably enjoys working with vestibular patients amongst other areas. 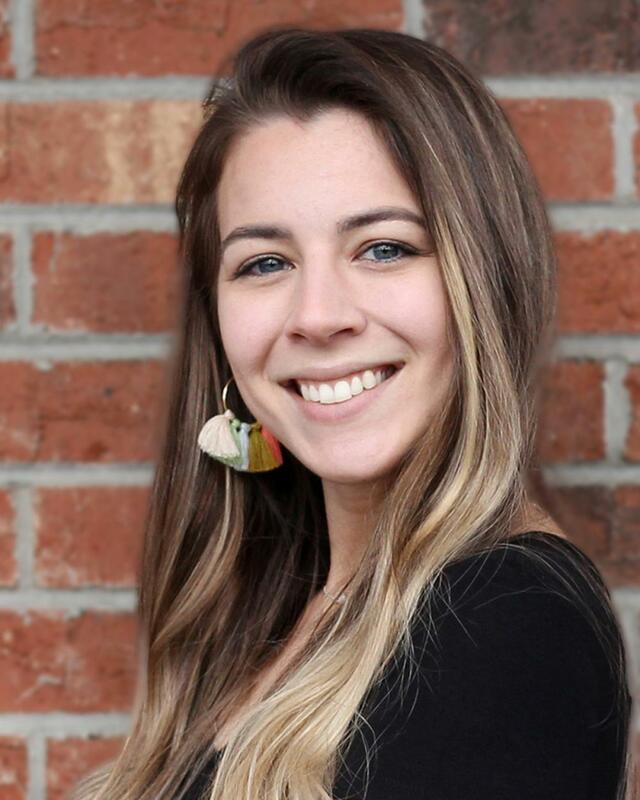 Lauren is a great team member here at Fyzical and looks forward to serving the community in which she lives. Tom Sharkey is originally from Delaware where he achieved his degree as a Physical Therapy Assistant in 2005. He has worked primarily in an outpatient setting working with a wide variety of patients including post operative, sports injuries, back pain and balance. He has lived in North Carolina for 11 years and has worked for Fyzical Therapy and Balance Centers since 2014. Tom has also pursued continuing education to expand his manual skills and knowledge of how the body moves, including injury prevention and rehab in athletes and runners. Tom enjoys helping people of all ages return to living healthy, active lifestyles. In his free time, he enjoys spending time with his partner, Cindy, and his 2 dogs, a Beagle named Daisy and a miniature Dachshund named Grady. Tom is an avid runner who trains and competes at ultra marathon distances and loves exploring the trails of western North Carolina. Diana loves interacting with everyone that she meets! She calls herself an “information ambassador” as she is compelled to share with others her diverse knowledge and personal experiences from over 30 years in the health & wellness field. She and her husband Raymond moved to Brevard in 2001 from Clearwater Florida and now live with their two weimaraners Jasper Jo and Bella Blue in Pisgah Forest. Diana enjoys the outdoors, sunny days, and spending time with her family and grandchildren. (NASM) at FYZICAL Therapy & Balance Centers in Brevard. Jimmy has been involved with fitness from the early age of six, when he was introduced to the sport of baseball. This ultimately led to his fascination within fitness and since then, has been practicing health and wellness to reach the highest level of achievement. Since attaining his certification, Jimmy has formed a passion for ultimately helping others achieve their fitness goals. In order to do so, Jimmy goes above and beyond other trainers, by use of the extensive research that he puts forth into each client based on their physical goals and tailors it to best suit their individual and unique needs and goals. Jimmy originates from Florida, he and his girlfriend moved to the Asheville area in 2018 along with their newly adopted cat fur babies, Astro and Stout, and soon to be black lab, Raymond. JImmy looks forward to helping the community reach their goals on their journey to a healthy lifestyle. Kady has been with the company since June 2017. As a client care specialist, she loves being about to interact with the patients each time they come in as their first point of contact and watching them meet their therapy goals. Kady is originally from Hendersonville, NC but moved to Asheville 7 years ago. Kady hopes to pursue an education in healthcare administration in the near future. In her free time, she loves going on adventures with her wife, Ashley and their 1-year old son, Beckett. They love exploring Asheville’s food scene and endless hiking trails. Kady is also a huge fan of Carolina basketball, camping and her English Bulldog, Winston. Anya loves cooking and baking for others because it brings her joy knowing she can make someone happy through food. Anya loves DOGS If she sees a DOG she will run and scream wanting to hug the dog. Melissa is a native of Transylvania County and lives in Lake Toxaway with her husband. She enjoys spending her free time volunteering at various non profit organizations in the community. Melissa has over 15 years of management and customer relations experience. 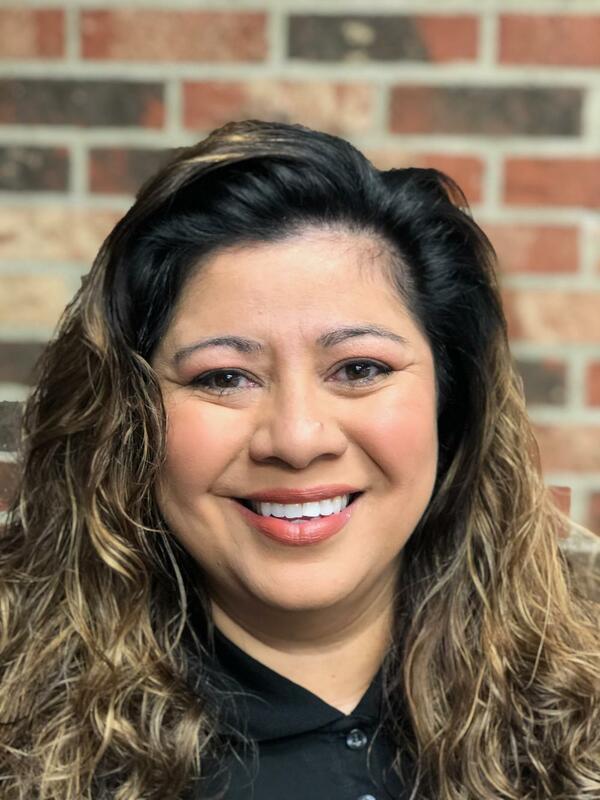 She has worked as a Client Care Specialist with Fyzical Therapy and Balance Center since July 2018. Our team strives to create a professional, welcoming, and comfortable environment for our patients. It is wonderful working for a company that provides one-on-one approach to treatment to help our patients achieve a better quality of life. Casey Duncan is a native of Western North Carolina and currently lives in Brevard with her boyfriend and their cat, Charlie. Casey has her Bachelors in Business Administration where she concentrated in Marketing Communications. She joined our team as a client care specialist in early 2019. She hopes to grow with the organization and put her degree to good use here. She volunteers each summer at Camp Funshine, a day camp for special needs individuals. Casey has a passion for working with those who have special needs. When she isn’t working, Casey loves to spend time with her family and friends.